A Democrat-financed group has reportedly secured $50 million to hire former British intelligence officer Christopher Steele to continue his investigation of President Donald Trump and his alleged ties to Russia. The drama surrounding the “dossier” by Steele and its unconfirmed information continues 17 months after the election as does the aggressive investigation by Special Prosecutor Robert Mueller. Christopher Steele’s “dossier” was opposition research on Donald Trump that was financed by the Democratic National Committee and the Hillary Clinton campaign. 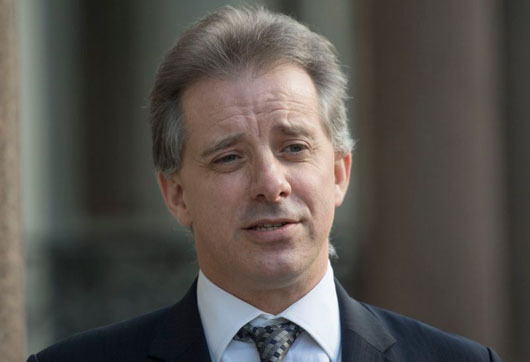 Steele’s “dossier” was opposition research on Donald Trump that was financed by the Democratic National Committee and the Hillary Clinton campaign. Although it was not intelligence it formed the basis of a Foreign Intelligence Surveillance Act (FISA) surveillance warrant on a former Trump campaign advisor. Mueller’s investigation is focused on unproven allegations against the president and not on more substantial reports of criminal wrongdoing by top Democrats including Hillary Clinton, the candidate he defeated, and officials in the administration of Barack Obama who supported Clinton and opposed Trump. Daniel Jones, a former aide to Sen. Dianne Feinstein who heads up the Penn Quarter Group private investigative firm, met with the FBI in March 2017 and told agents that his firm had acquired the money from seven to 10 “wealthy donors” to hire Steele and Fusion GPS, according to a report released by the House Permanent Select Committee on Intelligence on April 27. Feinstein, the top Democrat on the Senate Judiciary Committee, has been conducting her own Trump-Russia investigation and has summoned Trump people for private staff interviews, Rowan Scarborough noted in an April 30 report for The Washington Times. Feinstein “defends the Steele dossier, saying none of it has been disproved,” Scarborough noted.